﻿ How to convert Video to iPad 3? Convert video to iPad 3. How to convert video to iPad 3? The science and technology is developing rapid at present, and electronic products also updated speedy. Can you keep pace with the times? Now Apple will release iPad 3 for Apple users, do you want to know how to convert videos to iPad 3? iMacsoft iPad Video Converter can convert all popular video formats to your iPad 3. With iMacsoft iPad Video Converter you can convert videos for any type of iPad that plays video. You can also convert videos for the iPod and iPhone. So then how do you convert video to iPad 3? The following guide will show how to convert videos to iPad 3 step by step. Step1: Free download iMacsoft iPad Video Converter, install and run it. Click "Add" button or click “Add files” on the top tool bar to add the videos that you want to convert to iPad 3. Step2: Open the Profile drop-down list, then select the right format as output format. Click "Browse..." button to choose the output folder. You can preview the video on the left bottom window. Step3: After all the settings, you can start to convert video to iPad3 by simply click "Convert" button. A few minutes later, the conversion of video to iPad3 will be finished. 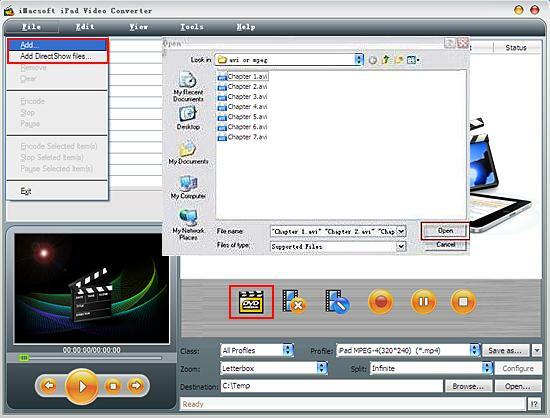 Actually, you have finished your work with iPad video converter so far with Step 1, 2, 3. 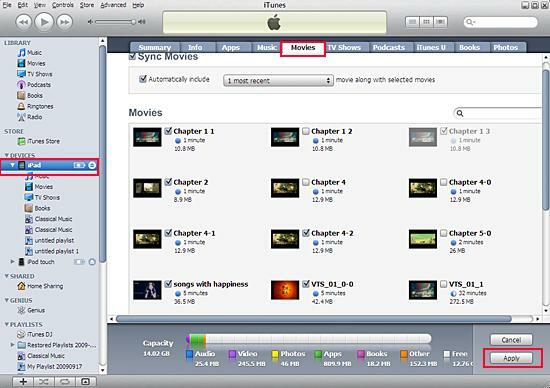 Now, open your iTunes, import converted video, connect iPad to your computer and click “Synchronize”. Just wait a few minutes, you could enjoy HD movies, popular TV shows on fancy iPad screen. Tips: Without iTunes, you can also transfer these converted files to iPad easily with our product--iMacsoft iPod to PC Transfer, iPhone to PC Transfer or iPad to PC Transfer software.